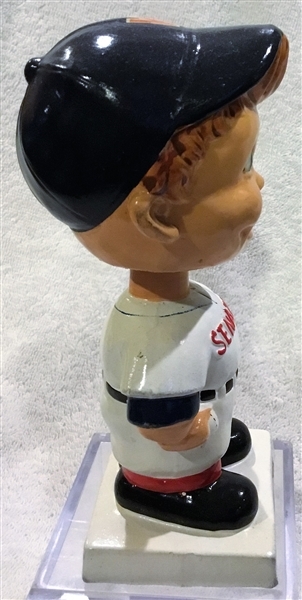 This doll is of the now-defunct Washington Senators. It has bright vivid colors. There are no chips or cracks. There is some minor paint wear but overall it's near mint.